 Travel One Travel::News & Events::Cobalt Air . 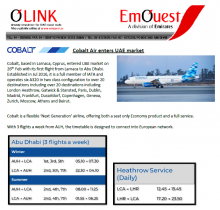 Cobalt, based in Larnaca, Cyprus, entered UAE market on 26th Feb with its first flight from Larnaca to Abu Dhabi. Established in Jul 2016, it is a full member of IATA and operates six A320 in two class configuration to over 20 destinations including over 20 destinations including London Heathrow, Gatwick & Stansted, Paris, Dublin, Madrid, Frankfurt, Dusseldorf, Copenhagen, Geneva, Zurich, Moscow, Athens and Beirut. 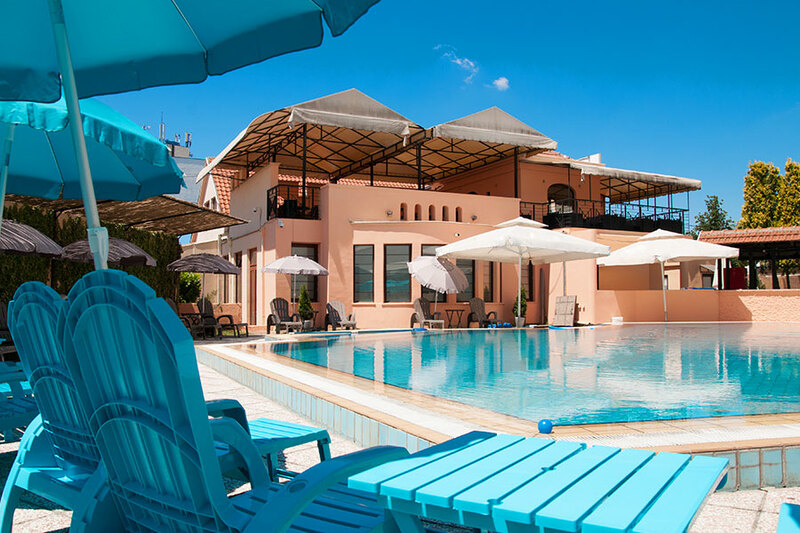 Cobalt is a flexible ‘Next Generation’ airline, offering both a seat only Economy product and a full service. With 3 flights a week from AUH, the timetable is designed to connect into European network. Cobalt has structured its fare’s Ex-AUH to be very competitive.